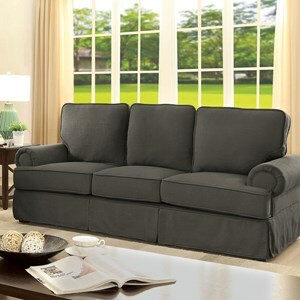 This three seat sofa will help homeowners to create a living room style that is charming yet casual. It features traits of decorative living room sofas including round arms and wood feet, but it isn't too over-done or stuffy looking. 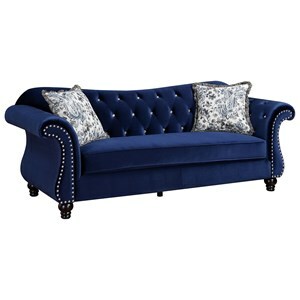 This sofa can be used with an assortment of styles and is complete with welt cord trim along the fabric seams. 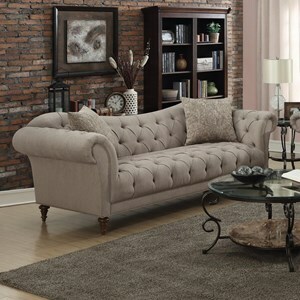 The 3300 Casual Sofa with Round Arms by American Furniture at Rooms for Less in the Columbus, Reynoldsburg, Upper Arlington, Westerville Ohio area. Product availability may vary. Contact us for the most current availability on this product. 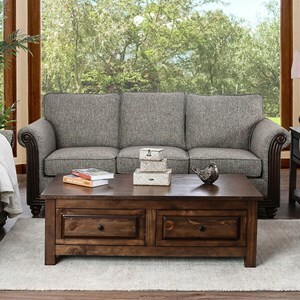 This living room furniture collection is ideal for creating a mood of casual comfort. Each piece in the collection features a style that is charming with curved lines and details that are not over-the-top. Wood legs provide a decorative staple of casual design and rounded arms enhance the charm of the group. 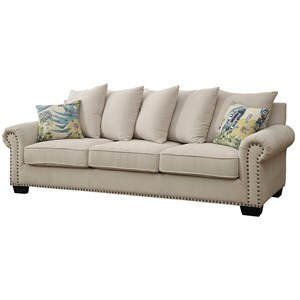 Plush cushions will provide you with comfort as you sit down with your family amongst this affordable furniture group. 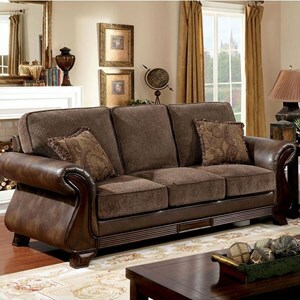 The 3300 collection is a great option if you are looking for Casual furniture in the Columbus, Reynoldsburg, Upper Arlington, Westerville Ohio area. Browse other items in the 3300 collection from Rooms for Less in the Columbus, Reynoldsburg, Upper Arlington, Westerville Ohio area.